UAMS Chancellor Cam Patterson, MD, MBA, and Arkansas Children’s President & CEO Marcy Doderer, FACHE, describe the new agreements between the institutions as enhanced strategic partnerships . Oct. 2, 2018 | Arkansas’ children have a healthier tomorrow before them, after the University of Arkansas for Medical Sciences (UAMS) and Arkansas Children’s today signed updated research collaborative and affiliation agreements. The agreements, which take effect Oct. 1, continue the strategic partnership of the state’s only medical university and the state’s only children’s health system. UAMS Chancellor Cam Patterson, MD, MBA, and Arkansas Children’s President & CEO Marcy Doderer, FACHE, called the agreements “a vital step and the next milestone” in the more than 40-year relationship of the two institutions. The two describe the agreements as enhanced strategic partnerships between UAMS and Arkansas Children’s. The institutions agreed last year to explore a closer relationship. The agreements announced today have met the due diligence and regulatory approvals of both institutions. The updated agreements aim to provide high level care to children and young adults, integrate pediatric research activities and continue to advance leading pediatric clinical care and academic programs with national recognition, attract and retain top staff, and improve operating performance. Arkansas Children’s, Inc. is the only health care system in the state solely dedicated to caring for children, which allows the organization to uniquely shape the landscape of pediatric care in Arkansas. The system includes a 336-bed hospital in Little Rock with the state’s only pediatric Level 1 Trauma Center, burn center, Level 4 neonatal intensive care and pediatric intensive care, and research institute as well as a nationally-recognized transport service. It is one the 25 largest children’s hospitals in the United States and is nationally ranked by U.S. News World & Report in cardiology/heart surgery, neurology/neurosurgery, nephrology and pulmonology. Arkansas Children’s Northwest in Springdale includes 233,613 square feet of inpatient beds, emergency care, clinic rooms and diagnostic services. Arkansas Children’s also blankets the state with outreach programs that include telemedicine, mobile health and school-based health solutions. A private nonprofit, Arkansas Children’s boasts an internationally renowned reputation for medical breakthroughs and intensive treatments, unique surgical procedures and forward-thinking research and is committed to providing every child with access to the best care available, regardless of location or resources. 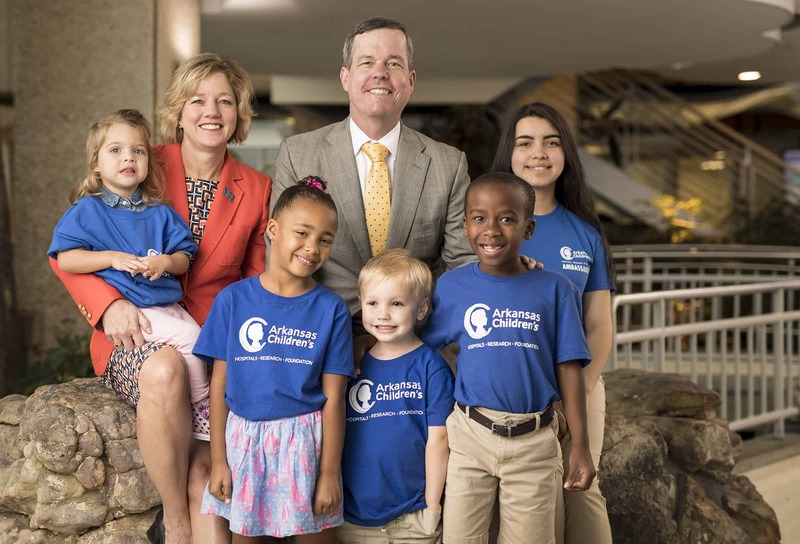 Founded as an orphanage, Arkansas Children’s has championed children by making them better today and healthier tomorrow for more than 100 years. For more info, visit archildrens.org.